David and Jim continue their discussion about booker George Scott. Chappell: The Gateway got very close to Blackjack Mulligan, and while he liked George Scott personally, he called him “the taskmaster” because of the way he pushed the talent. Chappell: (laughs) George Scott must have been out of town! Brunzell: (laughs) I was gonna get home, and in the morning my wife and I were gonna fly back with our kids to Minneapolis. So, we’re driving down the road and Don Kernodle was in another car and he had three guys and I had three guys. I had Blackjack Mulligan and ‘Quickdraw’ [Rick] McGraw, and we got stopped at a roadblock. Chappell: This thing is going south fast, Jim. Brunzell: I said Jesus Christ, I just got done wrestling and I’m driving back to Charlotte. So the guy, he’s handcuffing me! (laughs) Meanwhile, Jack Mulligan, he gets out of the car and says, ‘Is this really necessary, Officer?’ Then the cop put his hand on the gun! Chappell: (laughs) I bet that lawyer was busy! Brunzell: Yeah! So this guy calls me and said he needs 600 bucks, so I give him 600 bucks. Chappell: (laughs) Typical lawyer, and I’m a lawyer! Chappell: The lawyer isn’t there? Chappell: (laughs) You might have lucked out with the lawyer not showing; you might have ended up in jail if he had riled up the Judge! Brunzell: (laughs) But getting back to the Mid-Atlantic, God it was beautiful down there and we really enjoyed the people we met, even though we didn’t have much time to socialize. 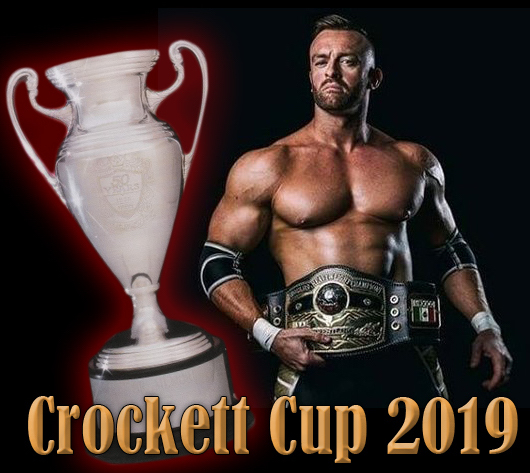 Chappell: Before we hit Mid-Atlantic Championship Wrestling full throttle, I wanted to go way back to when you started in the wrestling business. Weren’t you in Verne Gagne’s brutal training camp in 1972 with Ric Flair, Ken Patera and the Iron Sheik, Hossein Khosrow? Three guys that would figure prominently in your Mid-Atlantic run. Chappell: I’ve heard all about that Class of 1972, but I’ve never heard your take on it. Was it as tough as others have said it was? Chappell: That seems to be the consensus on Billy! Brunzell: He would inflict pain on us! You know, we were giving our body to him. But it was a great training period. Chappell: I know Ric has said it was so tough that he tried to quit several times because it was so tough, but Verne wouldn’t let him quit! Brunzell: Oh yeah, but what happened was we’d start off our session with these Hindu squats, which are free squats. And we’d do them in sets of a hundred. But by the time we were done, we’d be doing a thousand free squats a day! Brunzell: (laughs) My legs got so damn big that I thought, ‘Jesus!’ I did a lot of squats and everything, but I thought, ‘Holy Christ!’ You know, Verne and them put us through a lot, but it really sort of taught us the respect that pro wrestling really needed, especially from the guys that were employed by them…you know, the guys that went out there every night. It was quite a deal and it was hard, but I wouldn’t have known any other way. 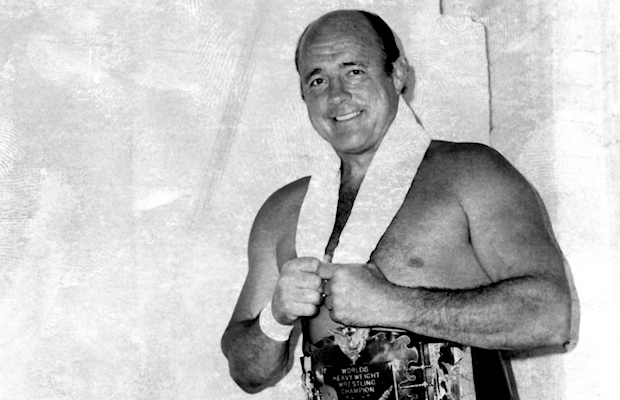 Chappell: It had to toughen you all up, the Verne Gagne way! Brunzell: He became a self-made millionaire. He did it all himself, and I think a lot of the guys along the way that were from his era were a little jealous of the fact that he succeeded as well as he did. You know, he was a ruthless guy. He had a good side, and he had a bad side. Chappell: Stay on the good side, right? Brunzell: But then he says, ‘Well, what do you want?’ And I told him I wanted 95,000 dollars a year. It sounds like a lot, but you know, we were in that same area of making that amount of money before the roof caved in and Hulk Hogan left and everybody else. Chappell: Could’ve fooled you, huh? Brunzell: (laughs) He didn’t fool me much! TO BE CONTINUED IN PART THREE! Jumpin’ Jim Brunzell was a major star in professional wrestling during the 1970s and 1980s, with most of his fame and notoriety coming from his “High Flying” tag team with Greg Gagne in the American Wrestling Association (AWA) and later with the World Wrestling Federation (WWF) as part of the “Killer Bees” tag team with partner B. Brian Blair. What is often overlooked in Jim’s career is a successful stint he had with Jim Crockett Promotions in 1979-1980, where in his own words he wanted to see if he could “cut the mustard” as a singles competitor. 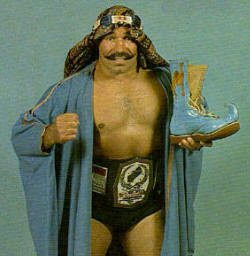 “Gentleman” Jim certainly flourished in the Mid-Atlantic area as a singles wrestler, defeating the seemingly unbeatable Ken Patera for the Mid-Atlantic Heavyweight Tile, and later battled the legendary Ray Stevens for that same belt, ultimately triumphing in his feud with the “Crippler.” Even when Jim eventually dropped the Mid-Atlantic strap to the dastardly Iron Sheik in May of 1980, the two had a spirited program over the title until Jim’s departure from the area in August of 1980. 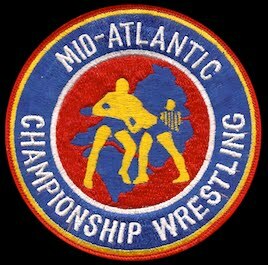 So while other significant parts of Jim’s wrestling career are touched on, this interview was done for the primary purpose of shinning the spotlight on Jumpin’ Jim’s 16 month run in Mid-Atlantic Championship Wrestling. So without further ado, let’s turn it over to White Bear Lake, Minnesota’s own…High Flying Jim Brunzell! David Chappell: Jim, thank you so much for making time for the Mid-Atlantic Gateway today. 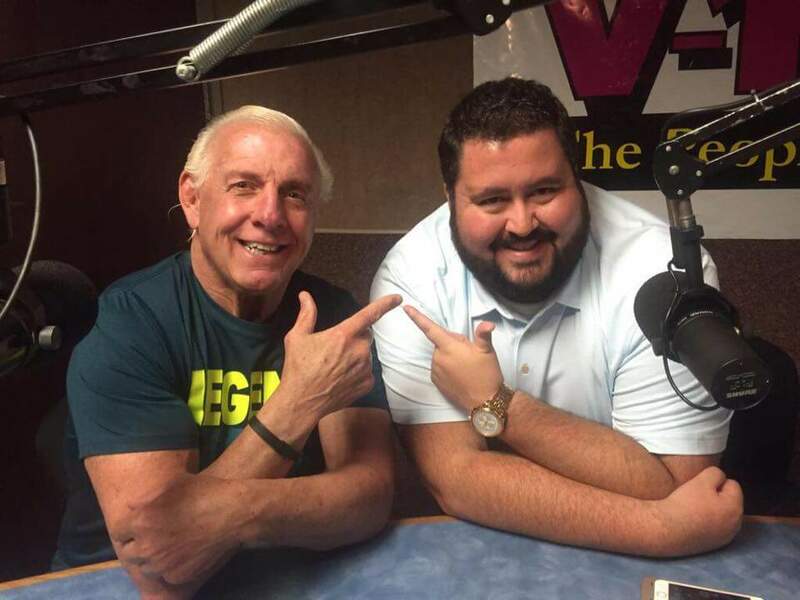 I’d like this interview to be a little bit different from the ones you’ve done before, in that I’d like it to focus primarily on your run in Jim Crockett Promotions in 1979 and 1980. I don’t think your work in the Mid-Atlantic area has ever gotten the attention it deserves. Chappell: It was a ‘who’s who’ talent-wise, wasn’t it? Brunzell: It was; it was great! You know, when I came from the AWA down there, I didn’t know what to expect. 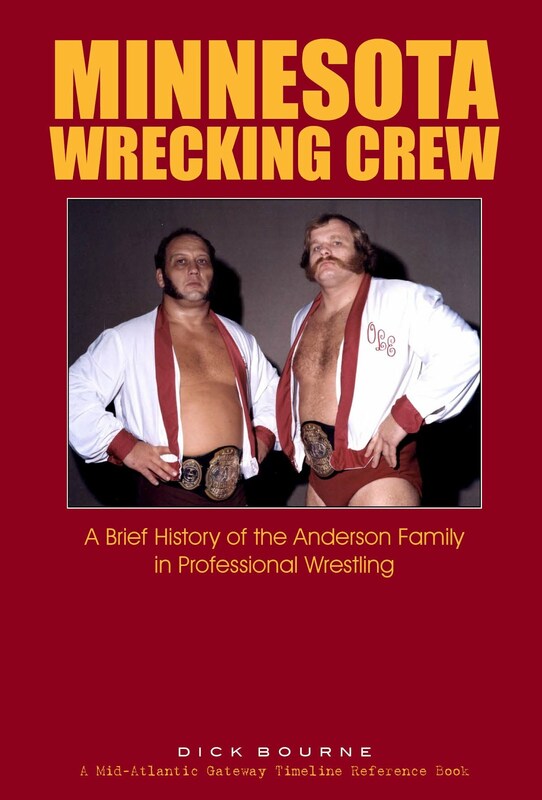 And George Scott, who was the booker in the Mid-Atlantic, had worked briefly in the AWA in the early 70s when I was starting, and I knew George and Sandy. They had been a tag team in Canada, and had bounced around a little bit. Chappell: And when you came to the Mid-Atlantic territory, you were primarily known for your tag team work in the AWA with Greg Gagne. Brunzell: I was sort of tired of being the ‘High Flyer’ with Greg for four and a half years and I thought geez, am I ever going to get a singles break? I didn’t see that in the future, and it was a good opportunity for me to just go some place new. I wound up getting booked down there, and it was fast and furious. I think I was down there for about 16 months, counting the time that George Scott had fired me, and I had worked six to eight more weeks in Atlanta for Jim Barnett. Chappell: You were fired by George? Didn’t expect that piece of news! Brunzell: But you know it was a great time. I bought a house down in Charlotte, and my wife loved it and our kids were like three, two and a half, and almost a year old. You know, it was a great opportunity. The only problem, David, was that George Scott was notorious for no time off. Chappell: I’ve definitely heard that before! 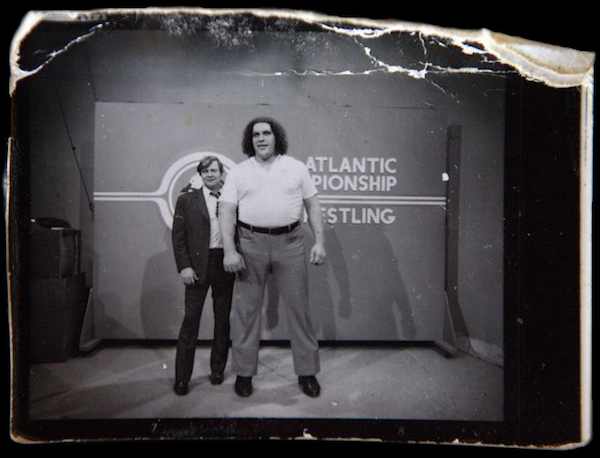 Booker George Scott with Andre the Giant on the set of "Mid-Atlantic Championship Wrestling"
Chappell: (laughs) Wow, what a welcoming to the NWA! Chappell: (laughs) What a guy! Chappell: Kansas City was your first territory, wasn’t it?Brunzell: It was. Chappell: I was going to ask you about Kansas City for that reason, and also because Ric Flair has often called the Kansas City territory the ‘Siberia’ of wrestling territories. Was it really that bad? Brunzell: Well, here’s the problem. God rest their souls, but Pat O’Connor and Bob Geigel were part owners, along with Sam Muchnick in St. Louis, and they ran the Kansas City territory. That was Kansas, Missouri and a little bit of Iowa. Gus Karras, who at that time was the oldest promoter, he ran St. Joe, Missouri. The problem was, those guys didn’t want to spend any money. Brunzell: Yeah, because the more you worked the more you learned your trade. And plus, it enabled me, David, to see the different talents. 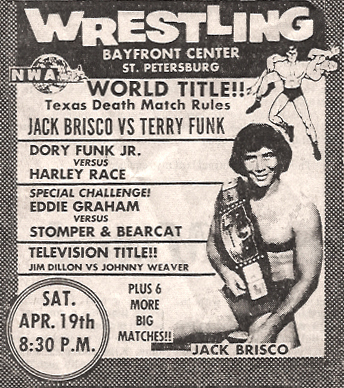 Jack Brisco came in, and Dory Funk and Terry Funk and Harley Race, and it was really eye-opening. Brunzell: Those guys never came up in the AWA. 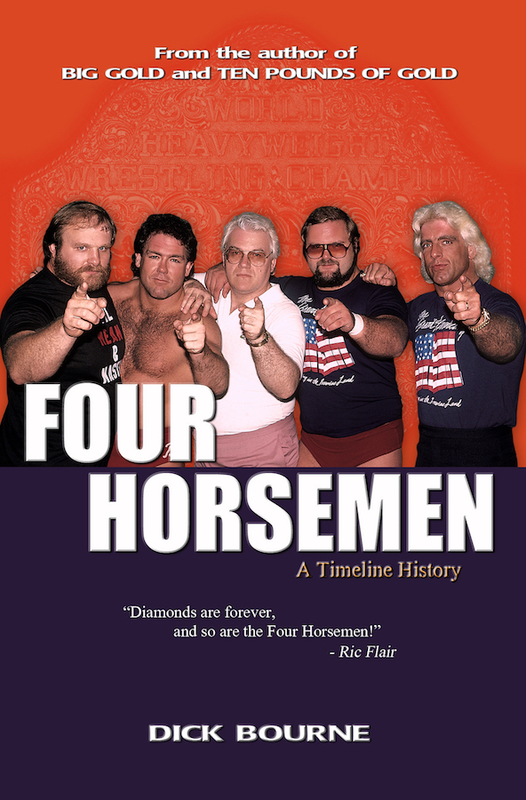 It was Nick Bockwinkel, Verne [Gagne] and different guys. Although the talent level in the AWA was incredible too. But when I went to Kansas City it opened my eyes. Chappell: Never a moment to catch your breath! TO BE CONTINUED IN PART TWO! It would prove to be the last Thanksgiving show under the Jim Crockett Promotions banner and the last Starrcade for the family promotion as well. THIRTY-THREE YEARS AGO TONIGHT! - STARRCADE 83! It is called "the Granddaddy of The All" and is generally recognized as the first "Super Card" that ushered in the modern era of super cards and pay-per-events. 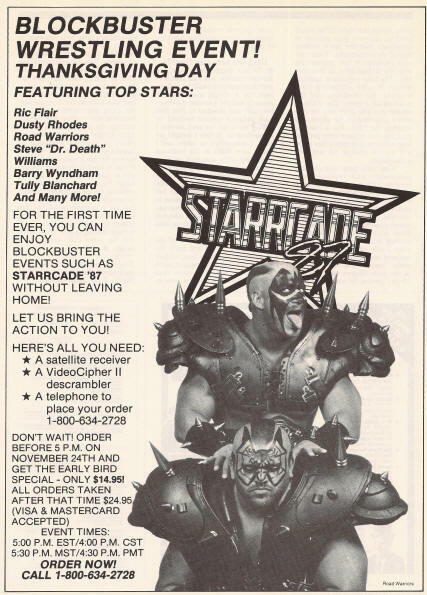 Before there was Wrestlemania, there was Starrcade. 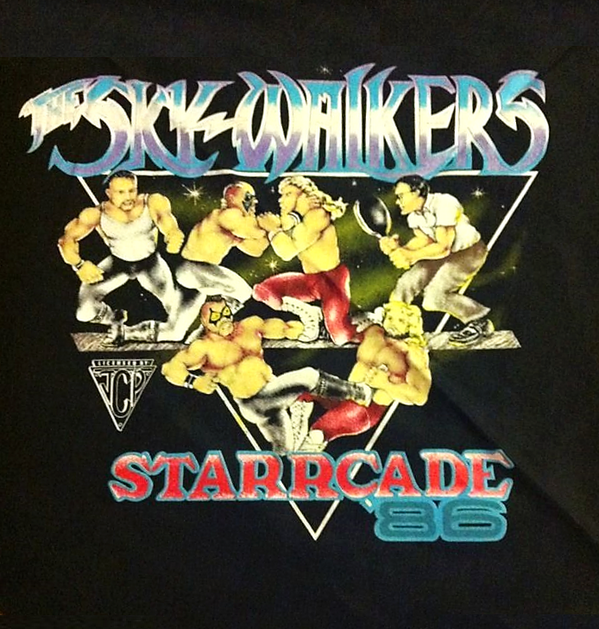 The first Starrcade was in 1983 and was sub-titled "A Flare for the Gold" and featured the area's favorite son "Nature Boy" Ric Flair regaining the NWA world title from Harley Race. 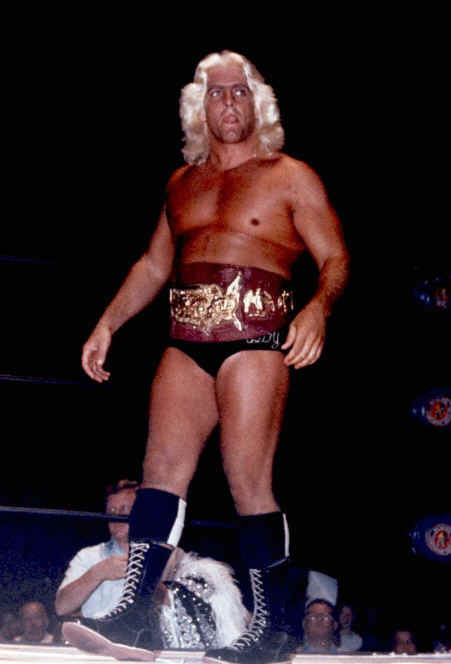 It was Flair's 2nd world championship of what would become 16 world titles over the next two decades. 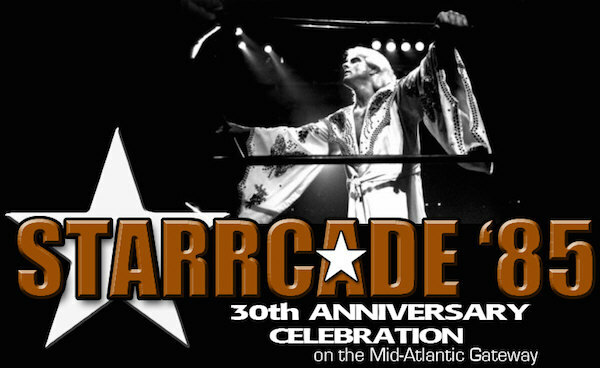 Take a look back at Starrcade '83 on the Mid-Atlantic Gateway Archive website. There you will find special art graphics, program cover, newspaper and magazine material, ticket stub, results, and much more. 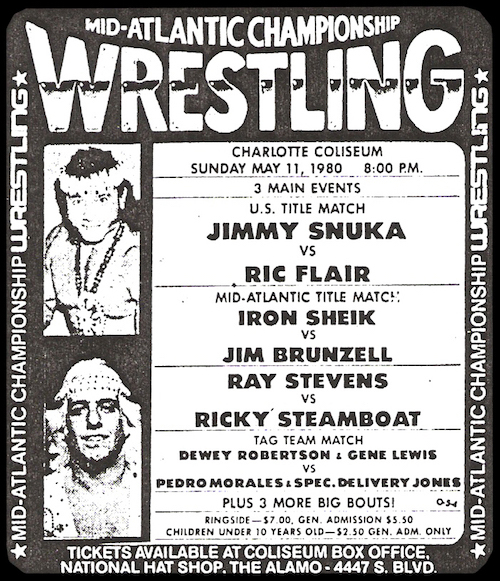 Thirty years ago this week on Thanksgiving day (on that year Thanksgiving was on November 27), Starrcade '86 took place in the dual venues of the Omni in Atlanta and the traditional Greensboro Coliseum in Greensboro. This wek is its 30th anniversary. It was the second of two years that JCP split the event between two cities with alternating matches in each locations closed-circuited back to the other. 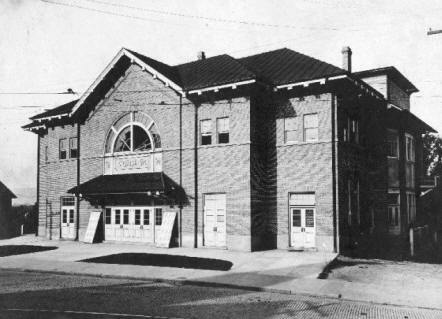 What is often forgotten is that Kansas City, KS was the third city that year to be a part of Starrcade '86, hosting live matches at Memorial Hall and then presenting the entire closed circuit telecast. 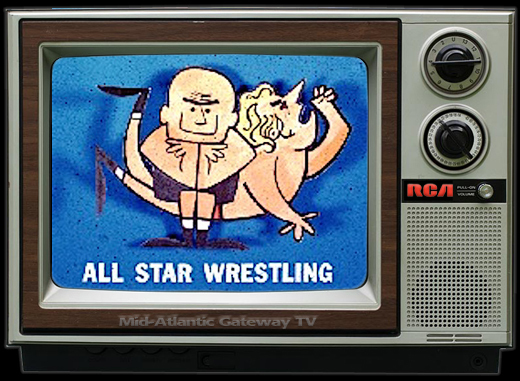 Take a look back at Starrcade '86 on the Mid-Atlantic Gateway Archive website. There you will find the program cover, ticket stub, results from Greensboro, Atlanta, and Kansas City, as well as newspaper ads and closed circuit locations. 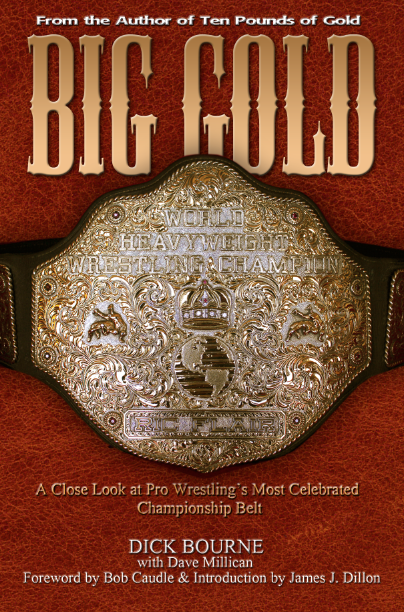 What do Swede Hanson, Pat O'Connor, the Missouri Mauler, Johnny Weaver, Jerry Brisco, Dory Funk, Jr., Wahoo McDaniel, Rufus R. Jones, Ricky Steamboat, Paul Jones, Ivan Koloff, Roddy Piper, Dusty Rhodes, and Nikita Koloff have in common? They all failed in their bid to capture the NWA world heavyweight championship on a Jim Crockett Promotions card on a Thanksgiving night. 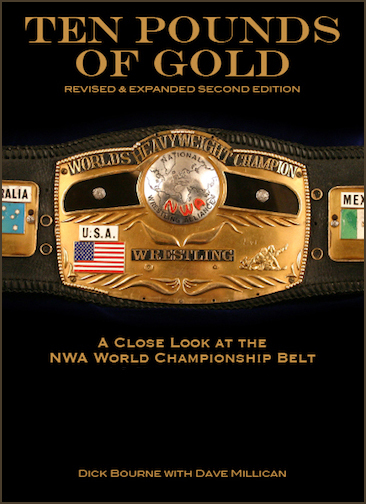 Only Ric Flair was successful in capturing the "ten pounds of gold" on Thanksgiving, and he did it twice. 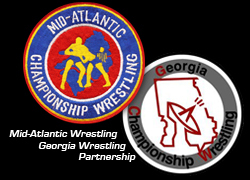 See the list of all those Thanksgiving title matches on the Mid-Atlantic Gateway. >> Click here to continue this article on the original post on the Gateway, including audio and video links. Here is a summary of recent updates on the site. Thanks for your support of the Mid-Atlantic Gateway! A look back at the annual SuperCards including Starrcade! One of the Mid-Atlantic's top stars heads to Atlanta to enter the tournament for the vacant Georgia Heavyweight Championship in 1981. The Mid-Atlantic Gateway's David Chappell will be appearing on two big podcasts this week. First up is the "Go Get Over" podcast with Chris Morris and Joey Powell at WRALSportsFans.com. They'll discuss the Thanksgiving wrestling tradition in the Mid-Atlantic area and all other things Mid-Atlantic! Subscribe to the podcast on iTunes and follow the boys on Twitter at @gogetover. Chris and Joey do a great job, and of course we here at the Mid-Atlantic Gateway love the connection with WRAL in Raleigh. 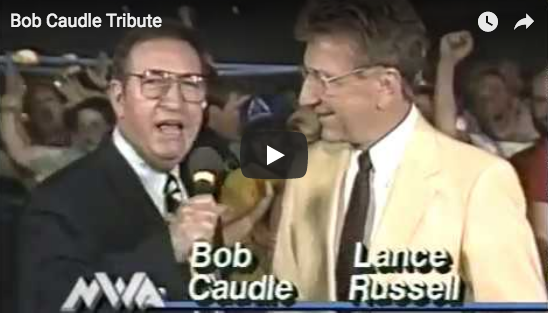 WRAL-TV was the home of Mid-Atlantic Championship Wrestling for nearly three decades, hosted by the great Bob Caudle. And you can't beat a podcast that starts with the old 1970s Mid-Atlantic Wrestling theme music in the opening. 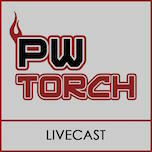 Then on Saturday on the PWTorch LiveCast, Jim Valley and David discuss memories of great wrestling on Thanksgiving Night back in the day, and of course you know what that meant - - - "The Granddaddy of Them All" --- STARRCADE. Check out "Saturday Morning Wrestling" with Jim Valley this (and every) weekend. You can also check out David's earlier appearance on "Saturday Morning Wrestling" here. 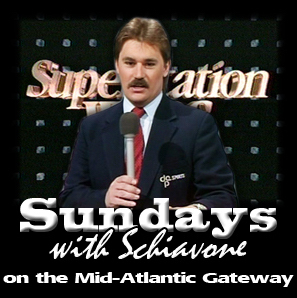 Special thanks to Chris, Joey, and Jim for having the Mid-Atlantic Gateway on their podcasts! 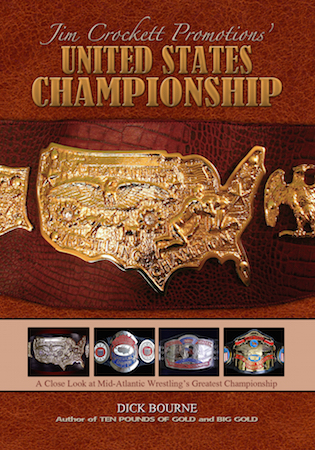 This show in advance of the first "Battle of the Belts" broadcast. 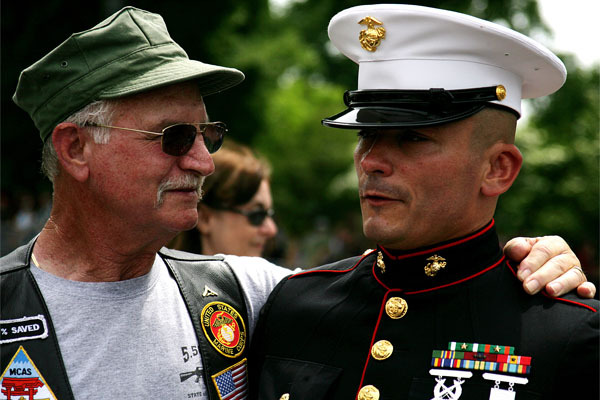 A heart-felt thank-you to all our military veterans and active duty service members. Your dedication and sacrifice for the sake of your family and fellow countrymen is appreciated. I've had Blackjack Mulligan on my mind today. 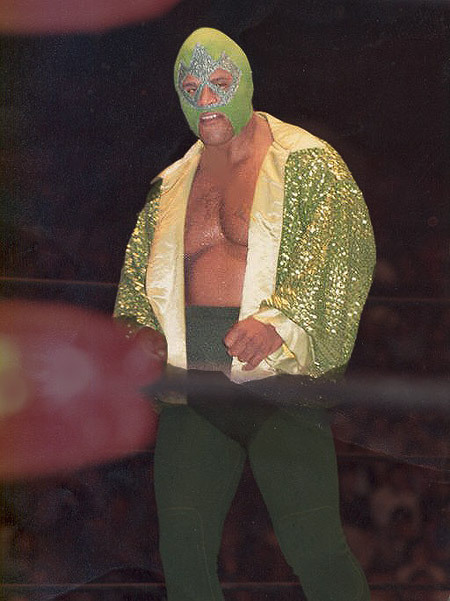 No reason, just missing one of Mid-Atlantic Wrestling's greatest ever. Lots of fun Mulligan stuff in Blackjack's Bar-B-Que. 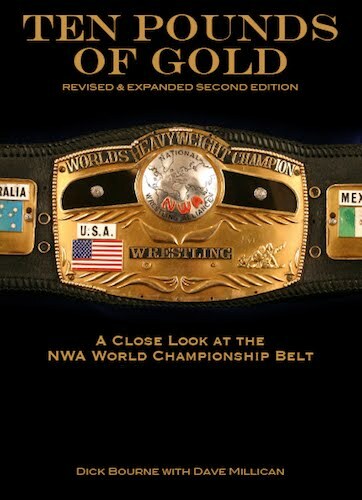 On May 17, 1981 at the Omni in Atlanta, there was a one-night tournament for the vacated Georgia Heavyweight Championship. 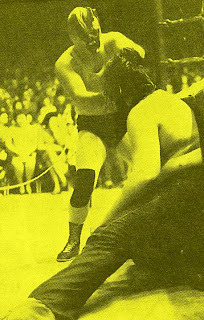 Ten men were entered in the tournament, including a couple of guys advertised as coming in from outside the territory to compete including Bruiser Brody and Greg Valentine. Brody no-showed (or perhaps was never really going to appear to begin with, who knows) but Valentine came in from the Mid-Atlantic area and went all the way to the finals, defeating Mr. Wrestling II in the quarter finals and Iron Mike Sharpe in the semi-finals before losing to "Wildfire" Tommy Rich in the finals. 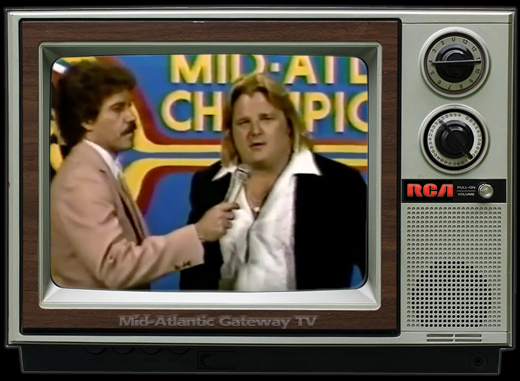 Prior to the tournament, Greg Valentine sent in a taped interview from Raleigh to promote his appearance in the tournament. The interview was conducted by Rich Landrum (host of "World Wide Wrestling") in the studios of WRAL TV. The video below, which is the final seven minutes of the Georgia TV show leading up to that big Omni card contains the Greg Valentine promo, plus another tape from the Mid-Atlantic area featuring the reigning NWA World Tag Team champions Gene and Ole Anderson. 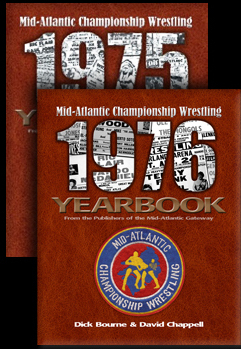 The match with the Anderson brothers from WRAL is from the summer of 1981 and is from "Mid-Atlantic Championship Wrestling" with Bob Caudle and Lord Alfred Hayes calling the action. Tommy Rich was wrestling in that tournament with a $10,000 bounty on his head, allegedly placed there by NWA World Champion Harley Race, who was trying to avoid having to face Rich for the NWA title. 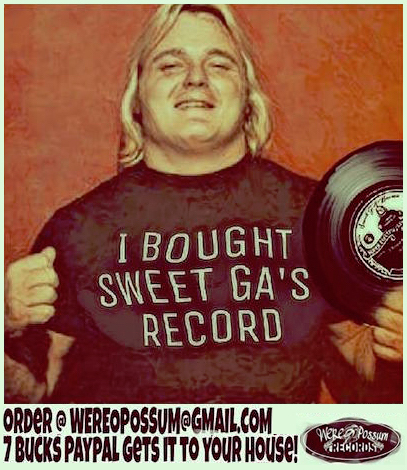 Greg Valentine mentions being interested in collecting the bounty in his promo, but was apparently unable to do so as Rich defeated him in the tournament finals to win the Georgia title and then went on to challenge Race for the NWA title at the next show at the Omni on 5/31/81. Race would successfully defend against Rich on 5/31, but then lost the NWA world title to Dusty Rhodes on the following Omni show on 6/21/81. If you look closely, you will see part of the Georgia championship belt extending off the front of Gordon Solie's podium. In a Studio Wrestling note, the backdrop you see in the Valentine interview (as seen in the image at top) was the Mid-Atlantic set used from 1975-1977 and is my favorite of all the old sets, mainly because it was first one a really remember and was used during the years I first really loved wrestling. 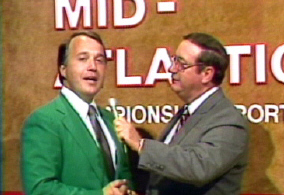 Gordon Solie promoted the tournament as a round-robin tournament, although it was not competed in such a fashion. There were 10 men announced as appearing in the tournament: Dusty Rhodes, Iron Mike Sharpe, Mr. Wrestling II, Tommy Rich, Ray Candy, Bruiser Brody, Greg Valentine, Ken Patera, Mike Boyer, and Bill Irwin. Brody and Boyer diod not appear, but Nickolia Volkoff and Jim Duggan replaced them.